A suspect, age 21, has been arrest for the burning of 3 Black Churches in 10 Days in a Single Louisiana Parish. Mount Pleasant Baptist Church in Opelousas, La., is one of three historically black churches that have recently burned in St. Landry Parish. Three historically black churches have burned in less than two weeks in one south Louisiana parish, where officials said they had found “suspicious elements” in each case. The Rev. 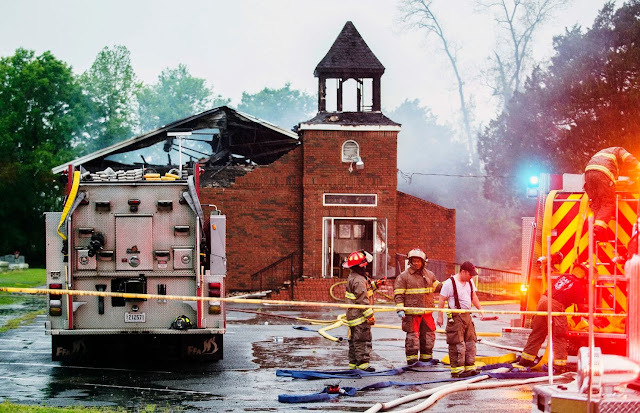 Gerald Toussaint, pastor at Mount Pleasant Baptist Church in Opelousas, La., was aware of the two other fires that had been set at nearby houses of worship, St. Mary Baptist Church in Port Barre, and Greater Union Baptist Church in Opelousas. He rushed to the scene.